Researchers find evidence that neural systems actively remove memories, which suggests that forgetting may be the default mode of the brain. Our memories do not just fade away on their own. Our brains are constantly editing our recollections, from the very moment those memories first form. “Without forgetting, we would have no memory at all,” said Oliver Hardt, who studies memory and forgetting at McGill University in Montreal. If we remembered everything, he said, we would be completely inefficient because our brains would always be swamped with superfluous memories. “I believe that the brain acts as a promiscuous encoding device,” he said, noting that at night many people can recall even the most mundane events of their day in detail, but then they forget them in the following days or weeks. Experiments in the past few years are finally beginning to make the nature of that filter clearer. Memory is a complicated subject for many reasons, not the least of which is that all manner of creatures have memories, from very simple organisms like sea slugs and insects up through humans and other animals with complex brains. Differences in how memory works may sometimes go along with those different nervous system architectures. Moreover, even within a single species, there can be several types of memory, and they may be interrelated but also centered in different parts of the brain. For example, recently acquired memories in mammals often depend on the involvement of the hippocampus, while longer term memory can involve more cortical areas of the brain. The mechanisms may vary among those types of memory, too. 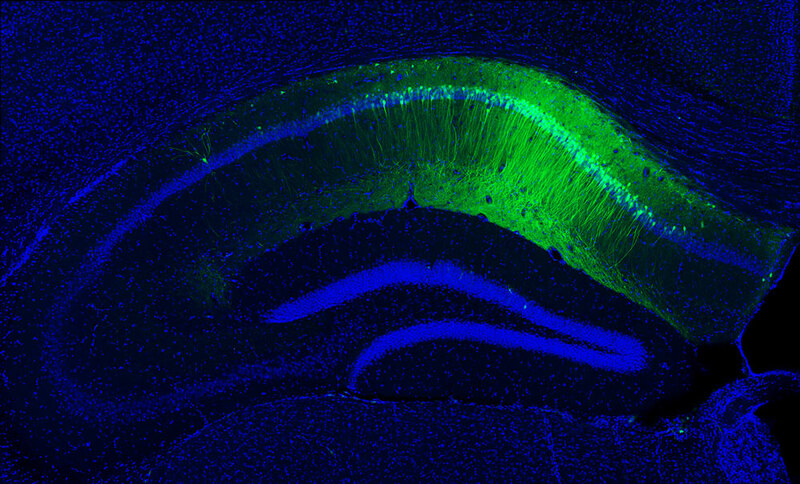 In this magnified slice of rodent brain tissue enhanced with a fluorescent protein, the green glow reveals which cells in the hippocampus seem to be storing the engram, or physical trace, of an experimentally induced memory. Davis and his colleagues looked at a certain set of neurons in the brains of the fruit flies that continuously release the neurotransmitter dopamine onto others called mushroom body neurons. They found that dopamine plays a dual role in both forming and forgetting memories. After Davis and his colleagues trained the flies, they blocked dopamine release onto the mushroom body cells and found that the flies’ memory scores were twice as high when they were tested three hours later. The explanation that Davis and his team proposed is that after a new memory forms, the dopamine-based forgetting mechanism begins to erase it. Davis thinks this erasure happens because the cells reverse the structural changes that created the memory engram. The cells’ natural inclination is to go back to how they were before they learned the memory — that is, unless the thought is somehow recognized as being important. Then the engram is preserved through some sort of consolidation process, which maintains a balance between what is learned and forgotten. “Maybe the brain is designed to forget information,” Davis said. Somewhere in the brain, he noted, there may be some sort of judge that tells it to override the forgetting process when it comes across something worth remembering in the long run. Zhong, a neuroscientist at Tsinghua University in Beijing, and his team have also successfully manipulated forgetting in mice. In 2016 they found that the inhibition of a specific protein called Rac1 in the hippocampal neurons prolonged the retention of memories from less than 72 hours to at least 120 hours in many cases. Increasing the activity of Rac1 reduced the life of memories to less than 24 hours. Earlier work by Zhong’s group had shown that Rac1 was similarly involved in several forms of forgetting in fruit flies. Another cellular process that seems to cause its own form of forgetting is neurogenesis, the birth of new neurons in the brain. The connection of neurogenesis to memory and forgetting is complicated. Previous studies have shown that neurogenesis can be important to the formation of new memories: In tests on lab animals, drugs that inhibit neurogenesis in the hippocampus can interfere with new memory formation, and drugs that enhance neurogenesis seem to help with learning new tasks if they are given before the learning process. But the effects aren’t all positive for memory, as Paul Frankland, a neuroscientist at the University of Toronto and the Hospital for Sick Children, and his colleagues discovered while working with mice. In their experiment, they first allowed the mice to create a memory by training at a task. Hours later, with drugs, they raised the level of neurogenesis in the animals to test whether the integration of new neurons in the hippocampus would affect the stability of that already stored memory. When Frankland’s team tested the mice about a month later, their recall of the training was much worse than that of mice that had not had the later neurogenesis boost. One piece of evidence that supports his theory came from follow-up work published earlier this year which showed that the harmful effect of hippocampal neurogenesis is worse for relatively recent memories. Much older memories do not seem to be hurt by it. Frankland’s explanation is that older memories are less sensitive to this effect because the brain gradually transfers important memories from the hippocampus to the cortex for long-term storage. Neurogenesis in the hippocampus today is therefore more disruptive for memories from a week ago than for those from months or years ago. Indeed, Frankland noted that the forgetting produced by remodeling of the hippocampal circuits through neurogenesis happens more slowly than the intrinsic forgetting based on dopamine and Rac1 that Davis and Yi observed: It takes several weeks for newly formed neurons to create new connections — and to contribute to the forgetting processes at work. When memories are forgotten by whatever mechanism, what happens to them? Are all traces of them eliminated? Or do they persist in some form unavailable to us? A set of answers that seems to apply to at least some types of memory came from work published last year by Robert Calin-Jageman and Irina Calin-Jageman, husband-and-wife researchers who run a behavioral neuroscience laboratory at Dominican University in River Forest, Illinois. The pair, who have been studying how sea slugs form memories for a decade, recently switched their attention to the neurobiology of how the animals forget. In the first stage of their experiments, the Calin-Jagemans “sensitized” sea slugs to electric shocks on one side of their body, but not on the other. In effect, they taught the sea slugs to show a bigger reflexive response on the trained side of their body. They then let the sea slugs forget this learned response over a one-week rest period, so that their responses to shocks were symmetrical again. Then the researchers jogged the sea slugs’ memory with another round of moderate shocks. The day after this reminder, they saw that the side of the animals that had previously been sensitized was again reacting more than the untrained side. This difference showed that some fragment of the memory persisted in the animal’s brain. “The animal has changed its behavior because the nervous system has encoded that previous painful experience,” according to Robert Calin-Jageman. To find out more about what survived the forgetting process, the Calin-Jagemans and their colleagues looked at gene expression on both sides of the animals’ brains, paying particular attention to about 1,200 genes that previous research had linked to memory storage in sea slugs. Eleven of those genes, they discovered, were still active on one side of the animals’ brains but not on the other, even after the animals had apparently forgotten about the shock. Why those 11 genes were active and what function they were serving are still unknowns. It’s not even certain that their activity directly relates to the forgotten memory; researchers would have to manipulate these genes to find out. But the possibility that excites the Calin-Jagemans is that those genes were connected to the memory — either in maintaining some remnant of the engram or in erasing it. Studies of sea slugs in the Calin-Jagemans’ lab are identifying some of the genes that seem to help maintain fragments of erased memories in the nervous system. 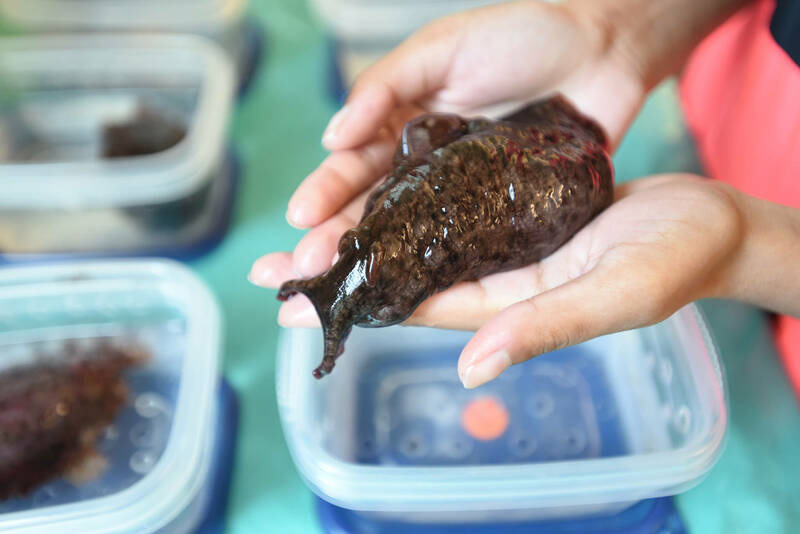 A further relevant observation is that the Calin-Jagemans said they saw a rise in the sea slugs’ expression of a neurochemical called FMRFamide, a compound that works in sea slugs similarly to how dopamine does in mammals. If so, it’s possible that FMRFamide might be produced to disrupt memories in a process much like what Davis documented for dopamine in intrinsic forgetting in fruit flies. For Robert Calin-Jageman, it’s exciting that forgetting seems to be a biological process like digestion or excretion because that means it can, at least in theory, be ramped up or down. He cautiously speculated that, if these findings hold up in humans, future researchers may be able to help people forget bad memories more easily and remember good ones for longer. Manipulating the process of forgetting may eventually find applications in the treatment of neurodegenerative conditions like Alzheimer’s disease, and of other types of cognitive declines that cause excessive forgetting among the elderly. It might also be useful for alleviating post-traumatic stress disorders, in which patients fixate on certain thoughts. “You can imagine that if you can tap into how the brain forgets, perhaps you can weaken these maladaptive memories,” Frankland said. 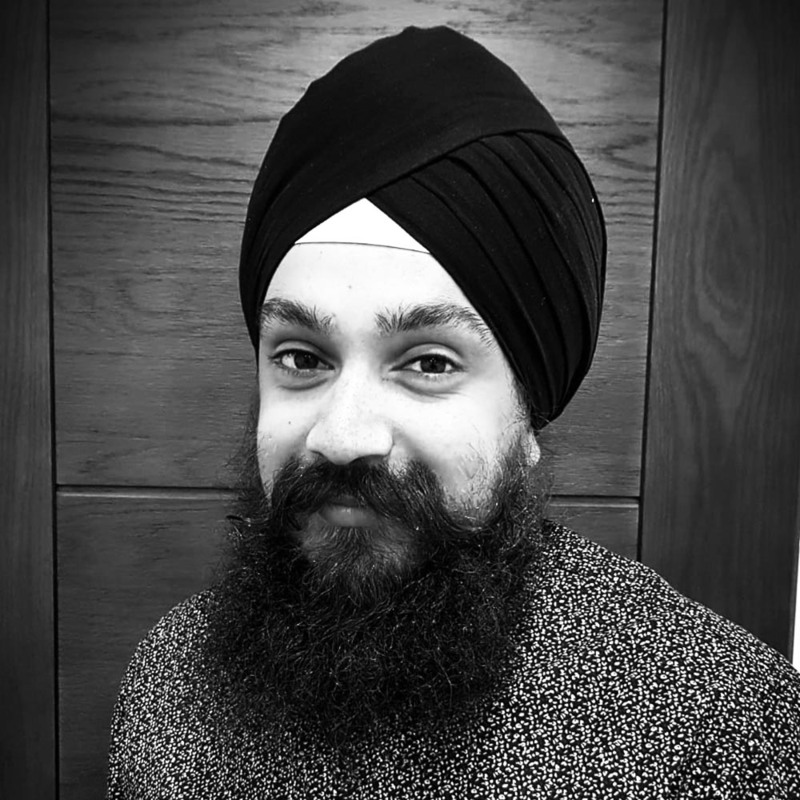 He noted that controlled forgetting may also help with breaking addictions. Davis said the potential of future applications might depend on understanding all the active forgetting mechanisms. He predicted that there are probably several of those that are still unknown to science.